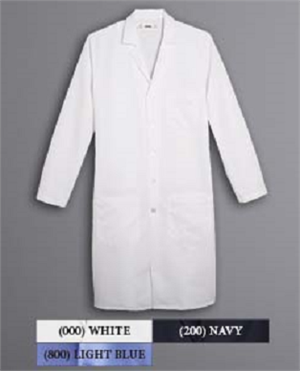 Button-front coat. Pencil-divided left chest pocket and two patch pockets. Side slash openings for easy access to pants pockets. 43" long. Imported.